Homepage / Looking for a FluidSurveys Alternative? Looking for a FluidSurveys Alternative? Online surveys with secure, 100% Canadian data and application hosting. Don’t get left behind by FluidSurveys. 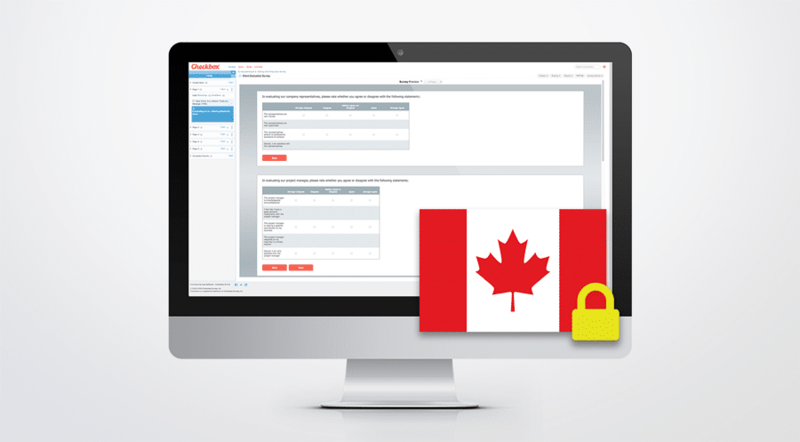 Checkbox can keep your Canadian survey program up, running, and in full compliance with Canadian and provincial privacy laws. Checkbox Survey provides secure data and application hosting entirely in Canada, using Microsoft Azure. Our survey software includes best-in-class features for online survey creation, distribution, data collection and analysis. If you need to move your survey effort from FluidSurveys to a new provider, one that provides all the survey functionality you’re accustomed to (and more), and one that fully addresses the data-security and privacy needs of Canadian companies, Checkbox has you covered.